The Caribbean Tourism Organisation announced the appointment of four new members to its UK Chapter Board of Directors, as well as the full slate of board members for 2018. Joining the Board of Directors are Jenny Peart, Lindsay Ingram, Cherrie Osborne, Jane Hansom, whilst Marc James was re-elected for another term. Jane Hansom, one of the CTO’s newest board members, is the Director of Sponge Marketing on behalf of Nevis Tourism Authority. Hansom is an expert in driving tourism to destinations via sports and adventure travel and comes with marketing expertise and knowledge of the Caribbean to enhance both the CTO and the Caribbean region as a whole. A seasoned industry veteran, Lindsay Ingram is the Managing Director of Newmont Travel. His extensive first-hand experience of the entire Caribbean region as a historically VFR specialist operator will bring a novel perspective into the further promoting the Caribbean region. Marc James, Partnership Manager for British Airways will continue to utilise his extensive skills set to be an asset to the region as the airline continues to grow capacity. Marc’s 18 + years working with airlines, tourist boards and hotel partners in the Caribbean will be strategically important as the UK chapter continues to evolve and remain sustainable in the long term. Jenny Peart, Caribbean Product Manager of Kenwood Travel, has been an integral part of the team at Kenwood Travel. Her reputation in the Caribbean is second to none and she has been at the forefront of the resurgence in Caribbean business. Her expertise and commercial acumen will be pivotal in helping the UK Chapter to continue to grow. Lastly, strategic leader and marketer Cherrie Osborne, Director of Marketing for Antigua and Barbuda Tourism Authority brings over 12 years of well-rounded tourist board experience to contribute to building brand Caribbean. Osborne is credited with spearheading prominent PR projects, such as the filming of the X-Factor episodes in Antigua, and her prowess in engaging with tourism partners. The CTO also recently appointed Jamie-Lee Abtar as Business Development Manager, UK Chapter. Abtar has over a decades experience in the travel and tourism industry supporting travel brands to grow, develop and increase revenue, and was also named as one of the TTG’s 30 under 30 Future Travel Leaders. Carol Hay, CTO’s Director of Marketing UK & Europe stated, the CTO UK Chapter is a dynamic body and we felt that Jamie-Lee’s knowledge of the Caribbean, networking and digital skills will be a great asset. 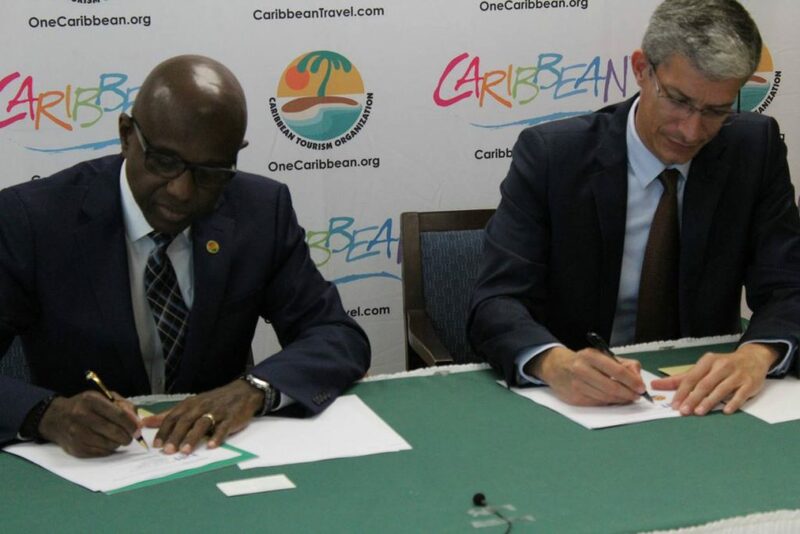 BRIDGETOWN, Barbados (5 April, 2018) – The Caribbean Tourism Organization (CTO), the region’s tourism development agency, has entered into an agreement with blockchain technology company, Bitt Inc., aimed at facilitating the implementation of more efficient payment processes for tourism-related products and services.